P&R was distinguished with the 2018 Business Excellence Award in the Innovation Category. In a joint initiative promoted by CENIT and ANIVEC, these Awards, which are in the second edition, aim to recognize the work developed by the Portuguese companies in the Clothing Industry, which most stood out in 2018, in different areas of activity. The jury of this initiative integrated representatives of some of the most respected bodies in the sector, these being: CENIT, ANIVEC, CITEVE, MODATEX, Jornal Têxtil, and University of Minho. 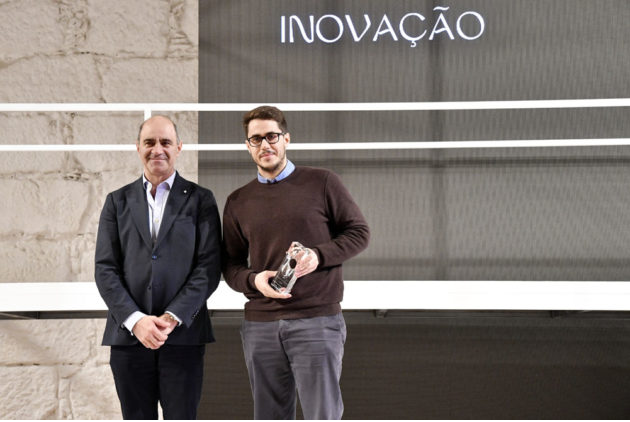 Nuno Fernandes Pinto (right) - the second generation ahead of the company's destiny, and António Braz Costa (left)- General Manager of CITEVE- attended the award ceremony. The ceremony was held on 19 December at Alfândega do Porto, and was attended by the State Secretary for Economic Affairs, João Correia Neves.